Realistic and achievable goals within the Smart Goal Setting acronym or formula. S – Simple, specific, stretching, significant. M – Measurable, motivational, meaningful, manageable. A – Achievable or attainable, acceptable, actionable, agreeable. T – time-based, timely, tangible, time limited. The words used to go along side the letters vary a little, but generally that is the Smart Goal Setting acronym or formula. 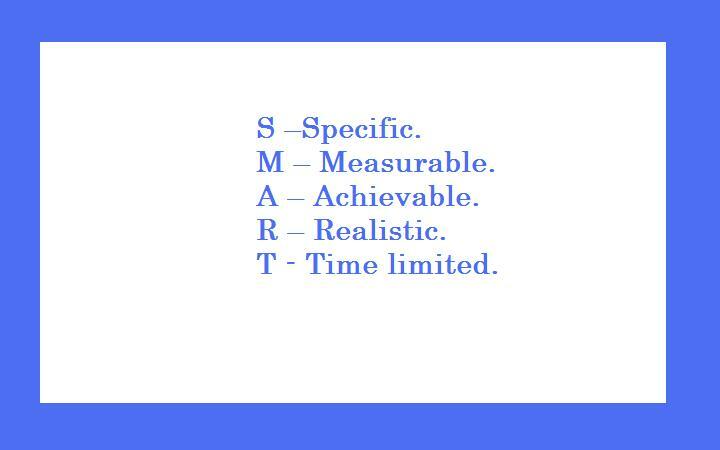 The Smart Goal Setting acronym first appeared around the 1950’s and many claim to have thought it up. 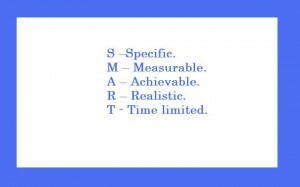 The Smart Goal Setting acronym has always looked to me like it was dreamed up by some professor having an academic moment to impress the young students in their class. Every time I see someone explain the Smart Goal Setting acronym it worries me, because of two words in it; realistic and achievable. When it comes to goal setting some people just love, realistic and achievable goals, which is great for them. I do think that a person needs a mixture of goals, big and small to be a complete person. I have always believed that goals should stretch us, challenge a person to grow in skills, knowledge and character. But the whole point of setting goals is to do something that that is out of reach at the present time. I think that realistic and achievable goals should only be set for a small thing that means a lot to you personally. Because reaching that goal then would be a truly worthy and fulfilling achievement for you and bring you happiness. The only other time we should set realistic and achievable goals is for something small that we need, but never seem to get round to sorting out, but to reach it is still a gain. So yes you can use the Smart Goal Setting acronym if that’s for you, but if you are seeking big gaols then just forget using the Smart Goal Setting acronym because realistic and achievable goals will only hold you back. The realistic and achievable Smart Goal Setting – acronym or formula would not have put Neil Armstrong on the moon. The realistic and achievable Smart Goal Setting – acronym or formula would not have put Edmund Hillary on top of Mount Everest. The realistic and achievable Smart Goal Setting – acronym or formula would not have allowed Thomas Edison to give the world the Light Bulb. I think to think small is no good at all; Tony Brassington.